As sad as I am that my girl Cynthia Bailey is going through a very public divorce from Peter Thomas, I have to admit that I am loving this new Cynthia. It’s nice seeing the Real Housewives of Atlanta star in a different element outside of her marriage problems. But I have to admit I am captivated by the chemistry between Cynthia and her other ex (Noelle’s father) Leon Robinson. I can’t be the only once fascinated by Cynthia’s desire and ability to be friends with an ex. I’m loving Noelle Robinson‘s increased presence on the show, so I’m not ready for her to move so I can’t imagine how her own mother feels. Cynthia opened up about both of these relationships and what we saw during the show’s latest episode. 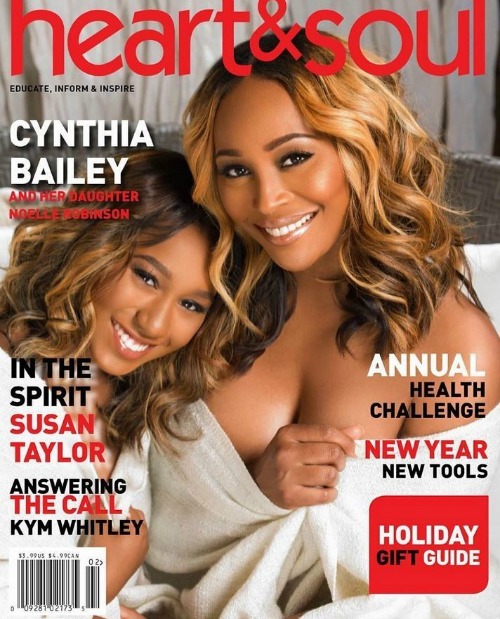 The Real Housewives of Atlanta’s Cynthia Bailey and sweet sixteen daughter, Noelle Robinson, share a striking pose as they grace the cover of the latest issue of Heart & Soul Magazine. The mother and daughter beauties have never posed together professionally for a magazine cover, so they were over the moon when asked to appear on the African-American women’s publication that focuses on physical, mental and spiritual well-being. However, despite the stunning cover, Cynthia was criticized for what Instagram followers thought was way too much boobage showing. Bringing you the first recap of the Real Housewives of Atlanta following its move to Sunday nights! The 6th episode of this season starts out with Kandi Burruss in the studio as she reveals she wants to develop an openly gay male artist, and in walks in the flamboyant Lawrence aka Sheree’s hairstylist. Kandi asks Lawrence to bust a tune and he does it well in a voice that is surprisingly deep, a sharp contrast from his speaking voice. As Kandi plays the song she created for Lawrence, a song that could be interpreted as an anthem for mistresses, in walks Kim right on cue. “I think that Lawrence will only be able to reach a certain audience. I mean good luck in Kansas,” states a jealous Kim in her interview. Good one Kimmy. Preview The Real Housewives of Atlanta Episode 6! Starting tonight, the Real Housewives of Atlanta will now be airing Sunday nights on Bravo. 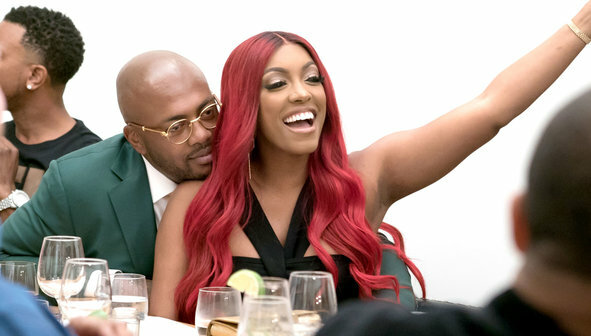 On the first Sunday night episode this season, titled ‘Trashed Collection,’ NeNe introduces her troubled son Bryson to Peter Thomas, Cynthia’s boyfriend and club owner, hoping he will inspire her son to find a career path. Meanwhile, Cynthia’s ex-fiance, actor Leon Robinson, discusses Peter’s ultimatum with Cynthia. While planning a high-end yard sale, Kim finds time for her music career and begins work on her new track with more than a little help from Kandi. Things get heated between the two when creative differences arise. Already puzzled with Phaedra’s ever-changing due date, the ladies are shocked to hear she’ll be inducing her baby “early.” NeNe’s marriage troubles come to a boiling point when she reveals a dark relationship secret to Cynthia. The new episode airs tonight at 10/9c. A new episode of Watch What Happens Live will air following the show. 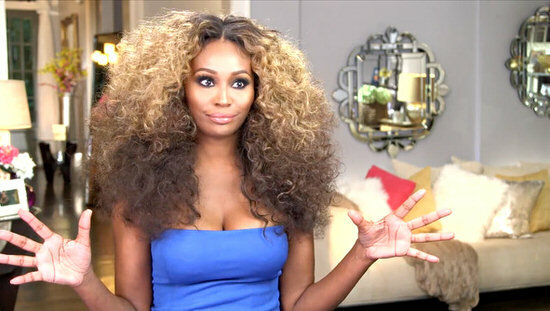 The guest tonight will be Cynthia Bailey. TELL US – WHAT ARE YOUR THOUGHTS ON TONIGHT’S EPISODE OF THE ATLANTA HOUSEWIVES? Phaedra Parks and Cynthia Bailey Join The Real Housewives of Atlanta Cast! It is finally confirmed. Atlanta attorney Phaedra Parks has joined the cast of the Real Housewives of Atlanta. We reported this back in February, but the Atlanta Journal-Constitution has finally confirmed the news via April Love, a PR rep for Lisa Wu Hartwell. The surprise however comes in the form of Cynthia Bailey, a model who has also been cast. This brings the total number of Atlanta Housewives to a large seven. The five returning housewives brought us so much drama last year, one can only imagine what the addition of two new women will bring. As for what is known about the ladies, Phaedra is a high power celebrity attorney that has represented celebrities such as Jermaine Dupri and Bobby Brown. She recently got married to Apollo Nida, and according to various reports, her husband has a rather impressive criminal background, and reportedly did a couple of years in prison. As for Cynthia, she has a daughter with actor Leon Robinson aka Leon, and apparently has a lot of celebrity friends. She is reportedly best friends with actors Boris Kodjoe and Nicole Ari Parker. This is a smart move on Bravo’s part as there had been rumors the five returning Atlanta housewives were all getting along, so these two new additions to the cast should shake things up a bit. After all, we would not want to watch an entire season about the women being nice to each other right? Anyone remember the infamous boring season 2 reunion?